If you're in the mood for some of the most delicious Chinese food New York has to offer, stop by any one of these fine Chinese restaurants in New York. Browse through our definitive guide to Chinese restaurants in NY. A High-Quality, Inexpensive Chinese Restaurant in NY! Serving up deliciously spicy dishes in NYC' s Garment District, Chef Yu is one of the most popular Chinese restaurants in New York. Specialties include beef tendon and marinated beef with hot pepper sauce. To top it all off, the dishes are totally inexpensive! In fact you'll find at least fifteen lunch specials under $6.00! Avoid the lunch time rush by placing your order online on the website. Chef Yu's dining spaces are also available for parties and corporate events 7 days a week! The restaurant offers a variety of party options, including sit-down dinners for groups of up to 300 guests, as well as cocktail-style parties for groups of 80-100 guests on the upper mezzaine level. Happy Hour is everyday from 4-8 P.M.
Tang Pavilion Chinese restaurant offers great tasting and delicious dine in, takeout and delivery Chinese food to New York City. Tang Pavilion is considered to be the cornerstone in the New York community. This Chinese restaurant in New York has been recognized for their outstanding Chinese & Asian cuisine, great quality and excellent service and home of a lot of friendly staff members. This Chinese restaurant is popular for being the modern interpretation of classic oriental dishes of China. Tang Pavilion NY is open from Monday to Sunday from 12 noon until 3pm for lunch and they reopen the restaurant from 5pm until 10pm for dinner. They are closed at 3pm until 5pm. If you want delivery, they do deliver in a 1 mile radius of their restaurant. Empire Szechuan is the largest Chinese restaurant chain in New York. This Chinese restaurant has been serving New Yorkers a lot of great food and quality service. They have been in the food business since the year 1976. They are offering a diverse menu of authentic Szechuan cuisine and Cantonese cuisine. They recently added some Japanese cuisine so that they will have varied food for everyone. 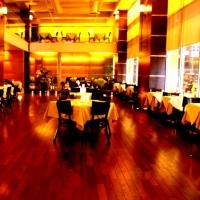 The restaurant has an elegant dining area which can accommodate a lot of people, whether small or large groups. They also cater to a lot of corporations in the Manhattan area. You should visit their restaurant now and eat some great Asian cuisine. Chef Ho's Peking Duck Grill is a truly satisfying Chinese restaurant wherein all of the guests are be valued and you know that you will really enjoy the food you eat at the place. Chef Ho's Peking Duck Grill is the kind of restaurant wherein the satisfaction of the customers comes first! They are offering great food and a great place for a very reasonable price, which will really make customers happy. Their service is outstanding and really improves through time. 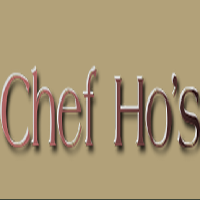 The food at Chef Ho's Peking Duck Grill NY is delicately prepared and the ingredients are carefully picked to be able to serve great tasting and quality food to all the customers. 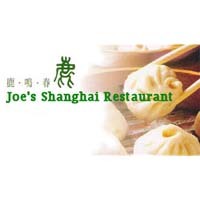 The first ever Joe Shanghai was established in the Flushing, New York area in the year 1995, and immediately their two special soup dumplings and crab pork meat became the New York favorite. A lot of New Yorkers love eating at this restaurant because of their unique and delicious offerings. They aim to offer everyone who visits their restaurant a great Chinese restaurant experience and they want to establish a great relationship with their customers. Some of their special dishes include, Crispy Jumbo Prawns with Lime Sauce, Spicy Szechuan Style Sliced Beef, Braised Duck, Braised Pork Shoulders and not to mention their different varieties of cold cuts like Wine Chicken and Shanghai Fried Bean Curd; Braised Sliced Beef. The food at the Golden Forest is a must try if you love authentic Chinese cuisine! This Chinese restaurant has been serving New Yorkers great and quality food ever since their establishment. They are offering mouthwatering dishes which will definitely offer your palette great flavors which are both unique and delicious. You will totally love the Chinese food at the Golden Forest NY as they are offering not just unique food but also the best food! If you do not have the time to go to the restaurant, they are offering delivery orders on their website. Big Wong King is a Chinese Noodle Shop restaurant which is located in Chinatown Two Bridges, New York City. It is a great place to grab something good and some Chinese comfort food. Though they are a typical Chinese Restaurant, they are offering great food. The chicken of Big Wong King NY will remind you of Chinese duck in the way that it is prepared and how it tastes. 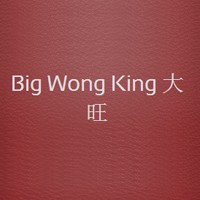 The Big Wong King restaurant is open from Monday to Sunday. It is really open every day. They are open from 8:30 AM until 9:00 PM. 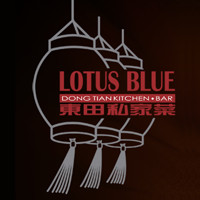 Lotus Blue is New York’s first full service restaurant which is offering modern Yunnan cuisine. This Chinese restaurant in New York is a casual place but very elegant. The chefs at the place have a lot of variety of ingredients to choose from. The Yunnan cuisine which is being offered at the Lotus Blue NY has borrowed freely from the neighboring countries such as Thailand and Burma. The Yunnan cuisine is using an abundance of tropical flowers and fruits which makes the dishes very flavorful and delicious. The flavors of mango and banana can be often seen on the menu of the Lotus Blue restaurant. 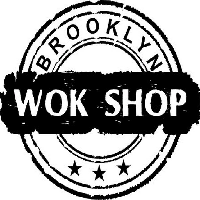 Brooklyn Wok Shop is family business which was built by Melissa and Eric Har. The restaurant is a joint venture of the married couple. The wife Melissa who grew up in the restaurant business and has a family who owns a lot of Chinese restaurants in the Orlando area. This is what inspired them to build their own restaurant. The result of this is the Brooklyn Wok Shop. The food at the Brooklyn Wok Shop is upgraded Chinese food. They are offering Chinese food at their place with a touch of the artisan hand. 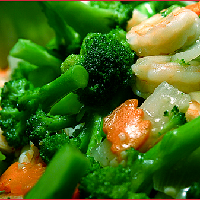 The cuts of meat and the selection of the vegetables are great additions to the flavor of the food. 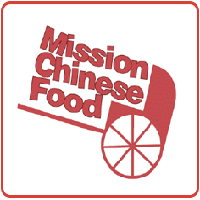 At Mission Chinese Food you will be able to taste the most delicious meal you have had in ages and in your lifetime! Their food is just that good and really worth trying! The food at the place is a bit spicy but not really too spicy. It is something you can tolerate because of its rich flavor and delicious taste. The chilis used in the food are really intelligently placed so that it will be able to burn a long and satisfying great taste. Some of the food at Mission Chinese Food NY has a lot of fresh herbs in order to add complexity and great texture to the food. These are hyper-designed dishes which will play textures and flavors off each other delightfully. 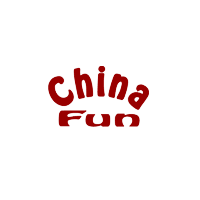 You Will Enjoy Every Visit To China Fun! You will surely enjoy your meal every time you eat at China Fun. The food at the place is very consistent and is good quality food that they are offering. There are a lot choices on the particularly large menu of China Fun. From the most Americanized Chinese dishes to the more traditional food, it will really taste good and really awesome. China Fun NY is also offering Japanese food on their menu. 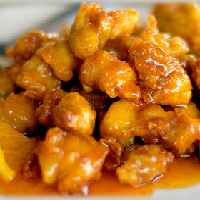 There is a lot of food that you will enjoy at China Fun, like the General Tso's Chicken and the Sesame Cold Noodles which will really take you out of this world as the food is really fun and great. You should try it and you will really love the place.